When I mentioned that I wanted a rocking chair for my baby's room, my grandmother gave me the rocking chair seen below which had been passed down to her from her mother. 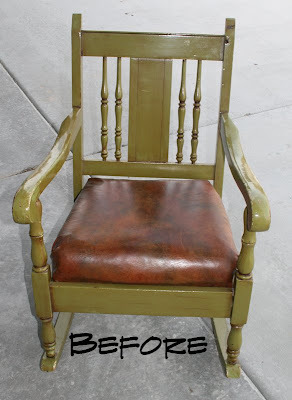 I love the details on the chair and thought a face lift was just what the doctor ordered. 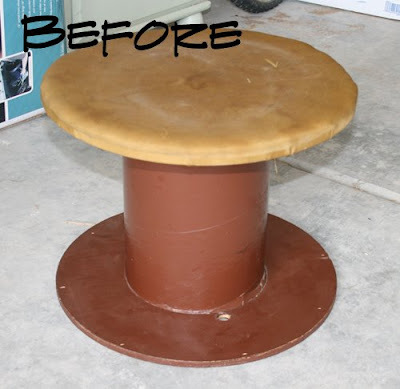 To compliment the chair, I found this awesome spool at a thrift store for $2.00 that I decided to use as a footrest. I carefully removed the seat from the rocking chair's frame. Then, not so carefully, I ripped the existing fabric and seat cushion off of the frame. This chair has been through a few remodels...it had three different fabrics covering the base. Each layer was attached with a different set of furniture nails- all of which I removed. As you can see, this antique chair was actually padded with straw and burlap! Stretched the fabric piece (I bought one yard and easily covered the seat) over the edge of the frame and stapled it into place. Then I tucked in the corners to make a uniform edge. 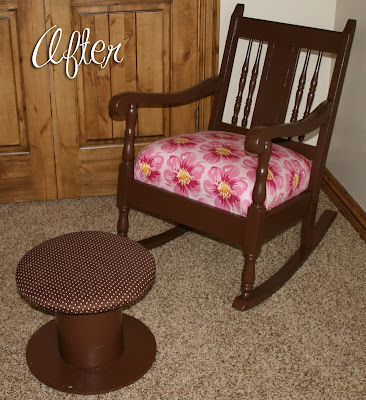 Sanded the chair to make sure the paint stuck and then repainted the rocking chair with two coats of chocolate brown. I let a dry for a day in between each layer, but read the back of your paint can. It usually suggests 2-4 hours. When I was satisfied with the color and the dryness, In coated it with a layer of polyurethane. After the polyurethane cured for a 24 hours, replaced the cushion and took it up to its new home! 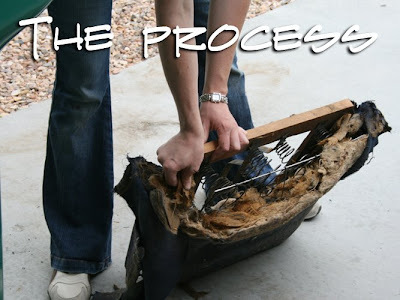 For the footrest I followed a similar process. Removed the old cover, repainted the base chocolate brown, let dry, recovered with a double layer of batting/fabric and stapled it into place. Voila!! I am so happy with this project and love rocking my baby girl in her new rocking chair! I firmly believe, that having beautiful things doesn't mean you have to pay a fortune for them. So, CUTE, Anna Rose! Love it! WOW! If I saw that in a store I would so want to buy it! What a great transformation! Totally fabulous. Baby 'E' will love it! So cute! I wish I had your creativity. Love everything you do! Great find. Turned out beautiful. Adorable. Now THAT'S an upholstery project! I'm impressed. Thanks for linking up! What a fabulous transformation! I love the chocolate brown with the pink fabric. Beautifully done! 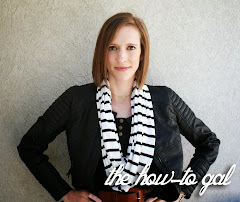 I love the fabric you used for the chair! Way cute! The rocking chair looks adorable! I love the colors you chose. And the stool makes a great foot rest. I hope you enjoy these for many years to come!